The family of a 34-year-old Quebec woman travelling in West Africa fears for her safety after not hearing from her for three weeks. She and her travel companion were last heard from on Dec. 15. The family of a 34-year-old Quebec woman travelling in West Africa fears for her safety after not hearing from her for three weeks. Edith Blais left her home of Sherbrooke, Que., last year, most recently travelling to Burkina Faso. She is travelling with an Italian man she met in Canada. 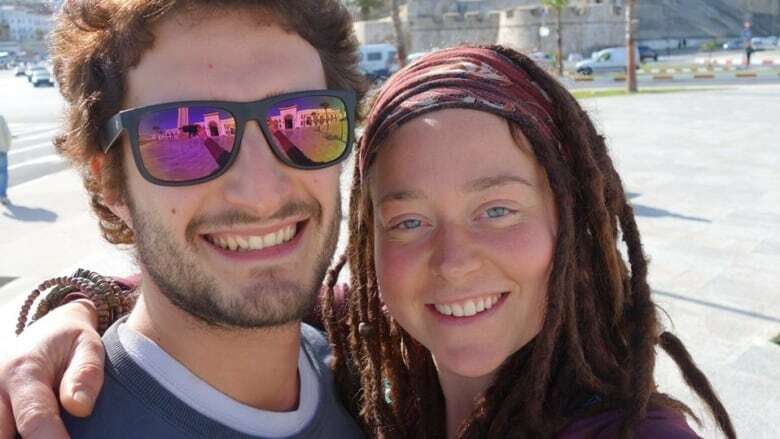 Blais and Luca Tacchetto, 30, were last heard from in the Burkina Faso city of Bobo-Dioulasso on Dec. 15. They were planning on driving to the capital, Ouagadougou, where they intended to stay for a few days and possibly sell their car before heading to neighbouring Togo. Blais's mother, Jocelyne Bergeron, last spoke with her daughter on Dec. 13 when she was in Mali. She said Luca's father spoke with them after they had arrived in Burkina Faso two days later. They were expected in Togo, where they were going to work on a reforestation project for a month, before Christmas. "In the last 24 hours we have practically gotten no sleep," Bergeron said. She has set up a Facebook page to help find her daughter. While many have reached out with messages of support and possible leads, she says it's difficult to know what is worth pursuing. One person who contacted the family on Facebook reported seeing the couple on Dec. 21. "That's what's difficult, there is nothing tangible," she said. Bergeron described her daughter as a visual artist whose "lifelong dream" was travelling to Africa. She said Blais lives a bohemian life, travelling often since she was 18 years old. After hearing of the couple's disappearance, Patrick Gagnon drove along the country's border with Togo and Ghana to look for any sign of them. "When we have a situation like this happen, we must give a helping hand," said the Canadian who has been living in Burkina Faso for seven years. He says that, while it's safer in large cities, it can be very dangerous elsewhere in the country. Bergeron has contacted Global Affairs Canada, but says that the federal department has no new information about the couple's disappearance. ‎Global Affairs Canada confirmed to CBC News that they are in contact with local authorities to learn more about the situation and that they are providing assistance to the family. "We're holding out hope that we will find her quickly," Bergeron said. 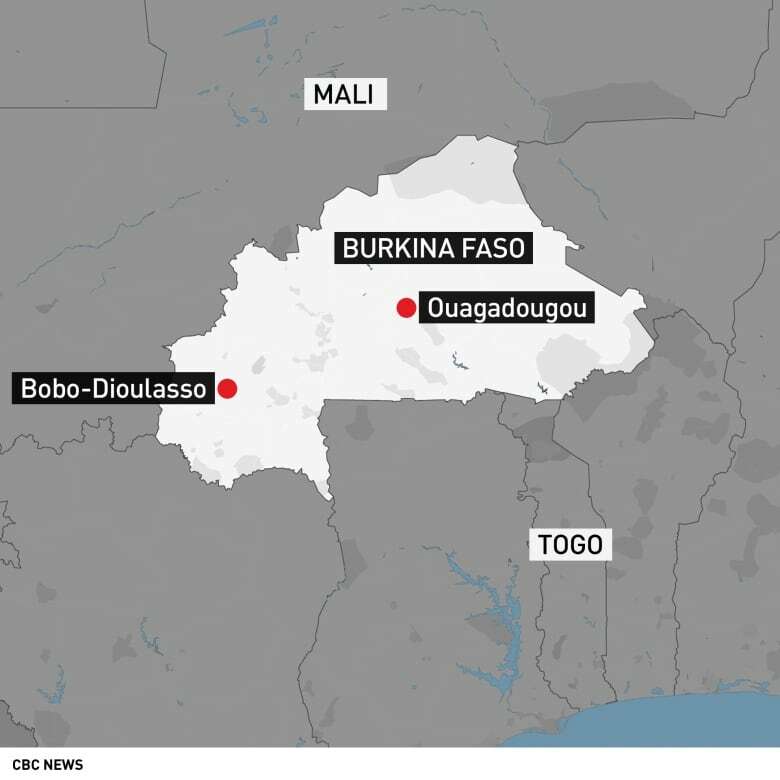 Authorities in the country declared a state of emergency earlier this week following terrorist attacks in northern Burkina Faso. In its travel advisory, Canada notes this means an increase of security checkpoints and the imposition of curfews.